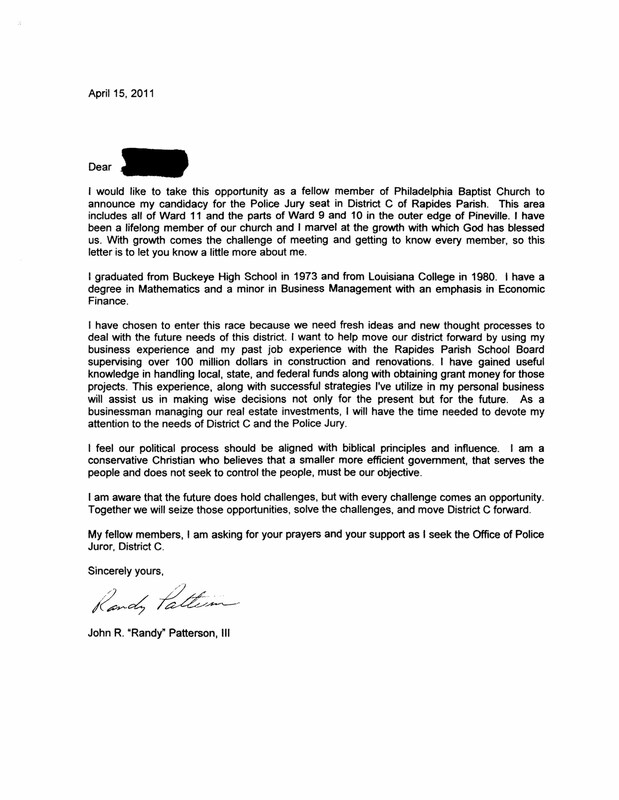 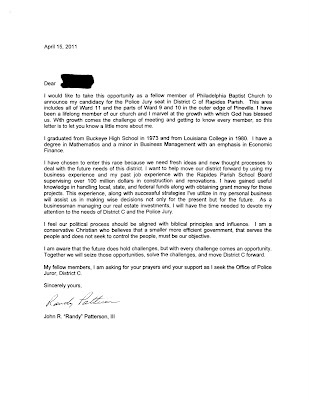 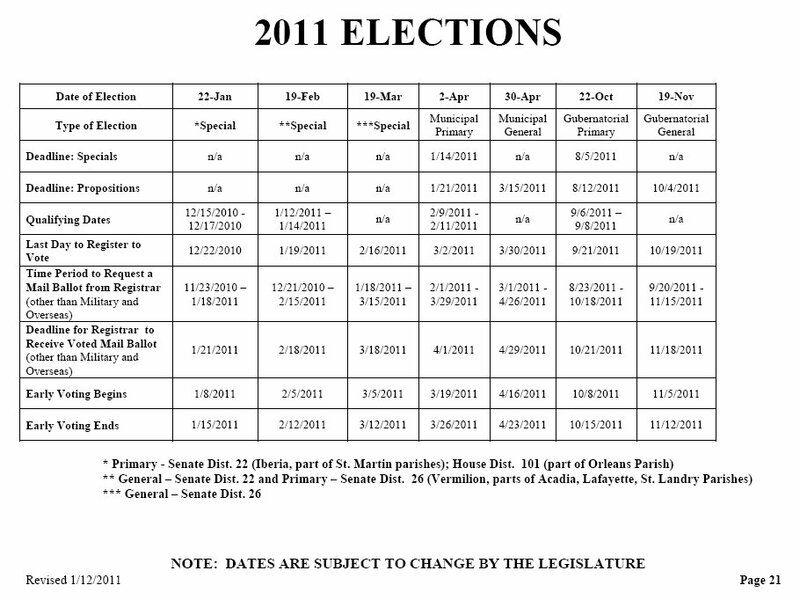 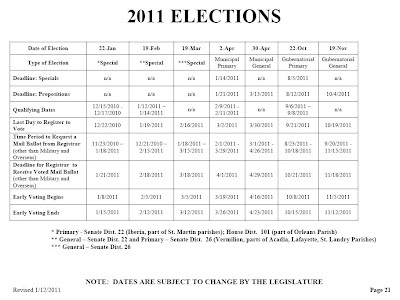 UPDATE: 22 april 2011 "randy" patterson enters dist "c" race with written appeal to fellow church members. 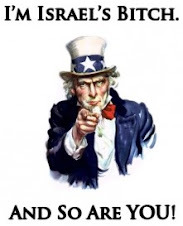 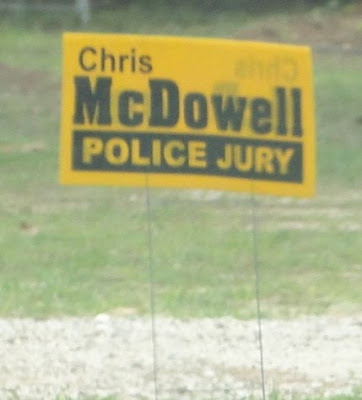 rapides parish police juror for district "c" jamie l. floyd, announced earlier this year that he will be running for clerk of court tax assessor clerk of court and it appears that the rush is on to replace him. 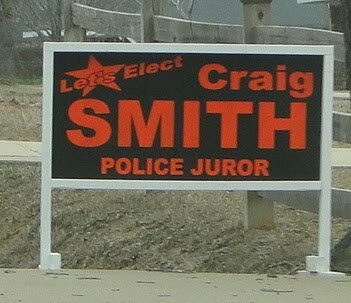 over the past few weeks several political signs have appeared around the district. 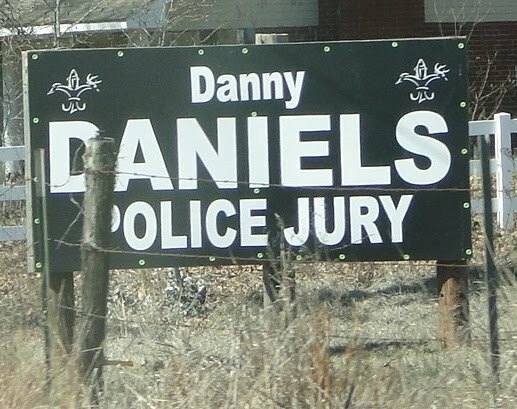 we dont have a picture of it but there is a sign on the door of glenn belgard's service station on highway 28 east near libuse that says "glenn belgard police jury."